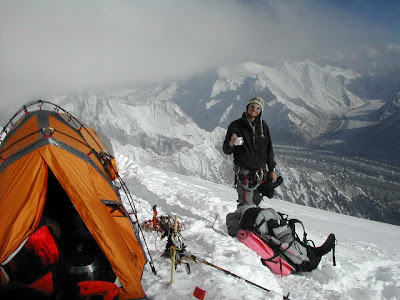 FTA K2/Broad Peak 2011 -Second round of acclimatization ahead! Chris has called in with the good news that the team is ready to head up for its second round of acclimatizing and they are hoping to spend nights in C3 at approximately 7100m and then descend to BC. With nights in C3 they will be ready for a summit push the next time up so this is a critical push. The weather has been unsettled but winds have not too bad below the summit ridge. Chris plans to call in with more info about exact member movement and we'll have that for you shortly! A typical night at C3 the first time is not super pleasant and most people feel the altitude and the hard work to arrive. 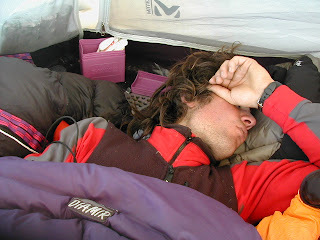 In 2003 Alex Txicon had a rough night but rallied to summit the next day! The climbing from C2 to C3 is quite steep and exposed at the start and requires a lot of attention and hard work with a full pack! But the views from C3 are worth it! FTA Broad Peak & K2 2011 - Summit push already under way! Chris has called in with the latest at BC which includes that the team already has two members, Lakpa Sherpa and Sophie Denis, with designs on a rapid summit bid ahead of the fixed lines and established camps! They have been having great weather and everyone if feeling well (despite a few GI challenges here and there). They have been working well with two other teams on the hill, Altitude Junkies and DAV, and the sense of camaraderie is running high. They have the rope fixed already to C2 and will be pushing the route through to C3 in the days ahead. Coming off of summits of Everest (Lakpa) and Cho Oyu and Lhotse (Sophie), the plan had been to push up as high as they could go and see how they felt. Well they are feeling great and going to make a quick bid for the top Alpine style. The summit winds are expected to rise by the end of the day on the 26th so they hope to be up and back to high camp well ahead of the end of the day. I have climbed with Lakpa a number of times and he is one of the fastest climbers i have seen. Sophie put in some very quick times on Cho Oyu and Lhotse so they seem to make a good team! We'll have all the news coming as they go for a very early summit on Broad Peak. 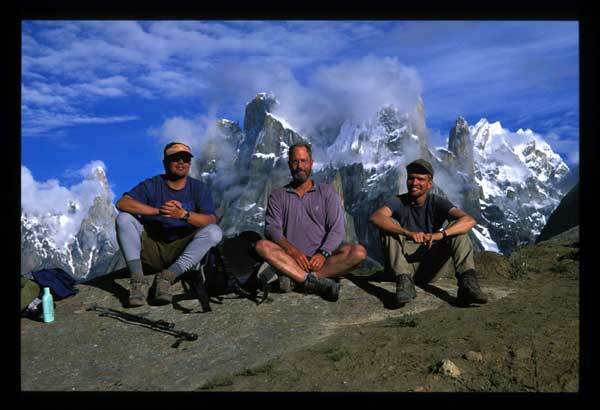 FTA K2/Broad Peak 2011 - Broad Peak BC and all well! 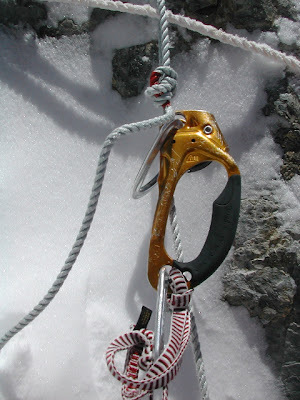 Chris has called in with an update from Broad Peak BC to let us know everything is going well! The team is taking a few rest days and planning to head up to C1 in 2-3 days. In the meantime they are reviewing fixed line movement, sorting gear and enjoying the peace and solitude of the mountains! 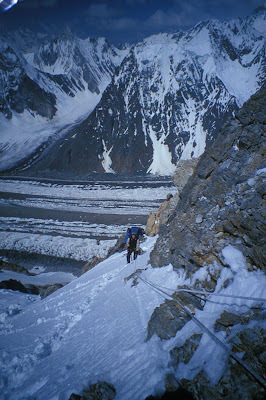 FTA K2/Broad Peak 2011 - In Goro II today and on to Broad Peak BC tomorrow! Chris has called in from Goro II and left a great audio disapatch below. In it he shares the latest news from the K2/Broad Peak team. They had a great day trekking in from Urdukas and enjoyed a warm (25°C) day with superb views of Gasherbrum IV, Gasherbrum II, Broad Peak and Masherbrum! In a normal year our team would tromp on up to the famed Concordia camp site and then take a short walk the next morning to Broad Peak BC. For the first time that i know of there is insufficient snow in Concordia and the team will be skipping this campsite on their way to Broad Peak base camp. By the end of last season the snow loss was dramatically greater than in typical years. This was due in large part to the conditions that caused the horrific flooding across great swathes of Pakistan. It remains to be seen how this will play out on the 8000m peaks in the Karakoram and potentially may mean icier or rockier conditions on Broad Peak and K2. have a listen in below to Chris's dispatch from Goro II! 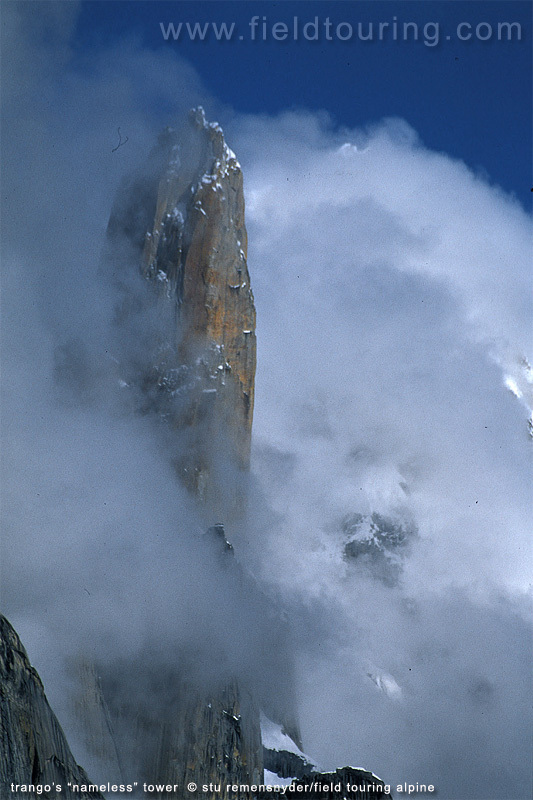 We have already had a lot of emails for climbers interested in 8000m peaks for next season including Broad Peak, Gasherbrum II & Gasherbrum I, Nanga Parbat & K2 for next summer so we expect to have quit a few of these climbs going! Spantik will be running in August and we do still have some spaces available and can accept new members til the middle of July. No better first 7000m peak that we know of as it is a full expedition and includes fixed line climbing, roped team climbing, a remote setting and a stunning 8km summit ridge! 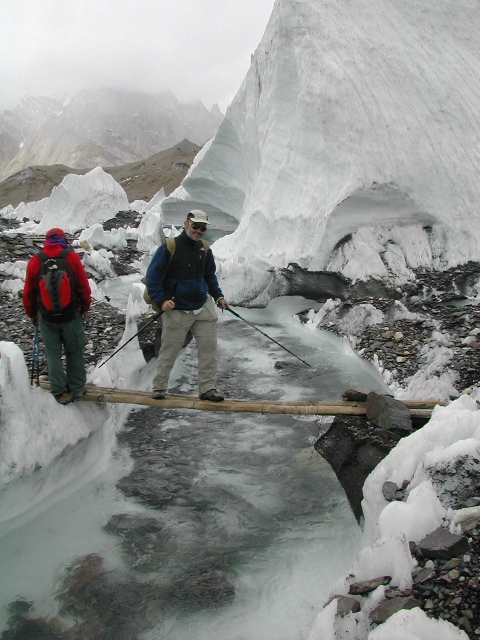 Trekking to K2 BC is something that everyone should add to a lifetime list of great places to visit. We have a departure slated for August 1 each year and welcome avid trekkers and climbers! If you are interested in joining us for a great trip to Pakistan drop us a note at "info@fieldtouring.com" and we'll send you all the info! FTA K2/Broad Peak 2011 getting under way! 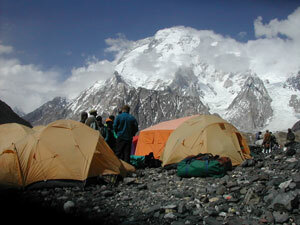 We have an exciting summer ahead with a team of 17 climbers, guides and HAP's headed to Broad Peak and K2. This trip will be followed up by another great trip to 7027m Spantik so stay tuned all summer! 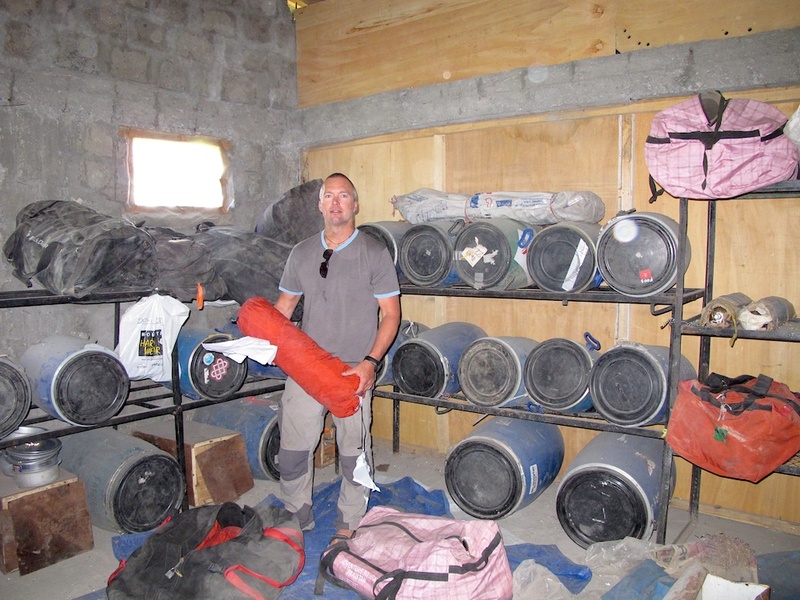 The K2 & Broad Peak trip officially begins today with members from all over the world arriving in Islamabad though one of our guides, Tim Colquhoun, has been working hard getting gear ready in Skardu. 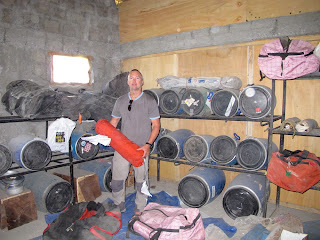 He'll be assisting on Broad Peak and then leading the Spantik team so he's going to get to know the gear room very well!